Makes for great display pieces! Turn 8-sided faceted plastic jars into display pieces and store all sorts of items! 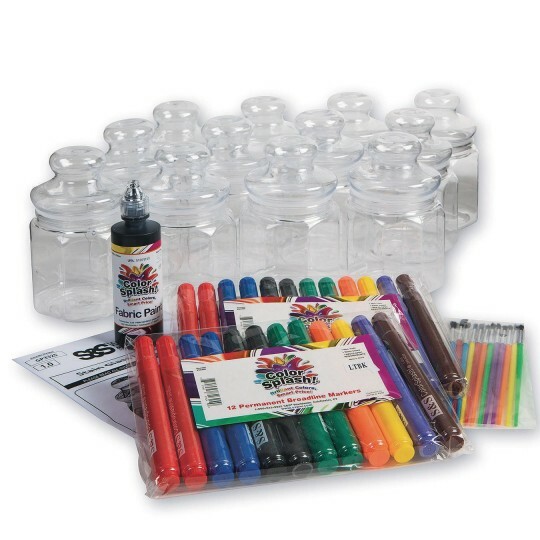 Kit includes 12 jars with lids, simulated “lead” paint, and permanent markers. 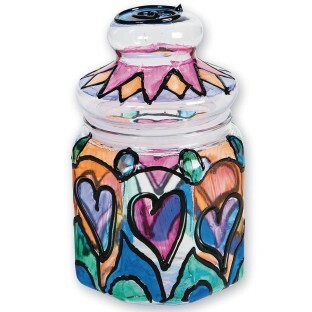 Completed jars give a stained glass effect. Jars measure 6”T and 3-1/2” in diameter.